Welcome to Kandinsky- years 3/ 4 ! Please have a look at our curriculum letter to find out what we will be studying this term. If you have any resources or knowledge to share, please let us know! This week, we've been going over some areas of the maths curriculum which the children say they've found tricky. We did a lot of work on telling the time to the nearest 5 minutes, converting analogue time to digital time and solving time puzzles/problems. Time is difficult for most children but we think we've cracked it- if you can help reinforce your child's learning by looking at clocks, etc that would be great! In Literacy we began to write a shared piece - an information text on The Manchester Munching Dragon! So far, we know it's as big as a lion and is the colour of the 2 Manchester football teams! We also know it goes to every football game! Watch this space for more information. 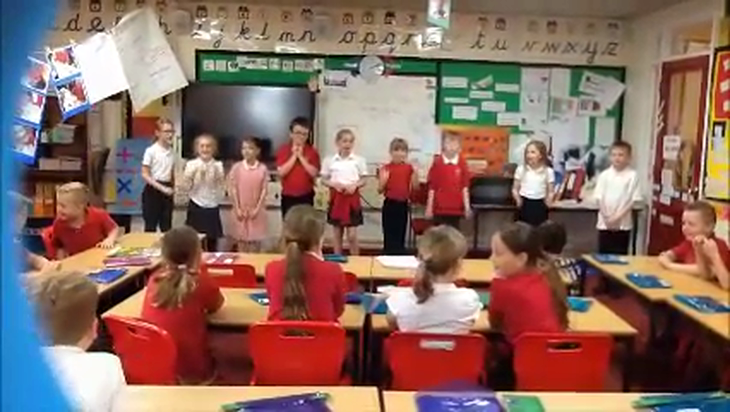 What a fantastic performance! Well done everyone!. What kind of habitat do woodlice like? Sarah as Joan from our story. We all acted out a crucial part in the story so far and had to freeze suddenly to say what that particular character would be thinking then. Will became Roger for the lesson and had to decide whether he should run away from school or not. in the end, he was persuaded by some of his classmates not to run!. There was a Roman battle at Hensall Primary School! Look out the Romans are coming! Who is behind the Roman shield? 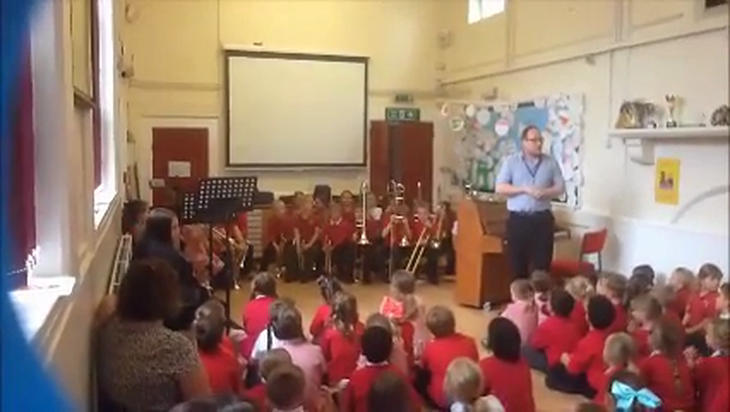 Just a quick note to let you know that the Year 3s are being given the chance to learn musical instrument for free. Mr Timmins is coming in to school every Wednesday to tutor them. Watch this space for some brilliant performances! Our class assembly on Wassily Kandinsky 15.9.16. 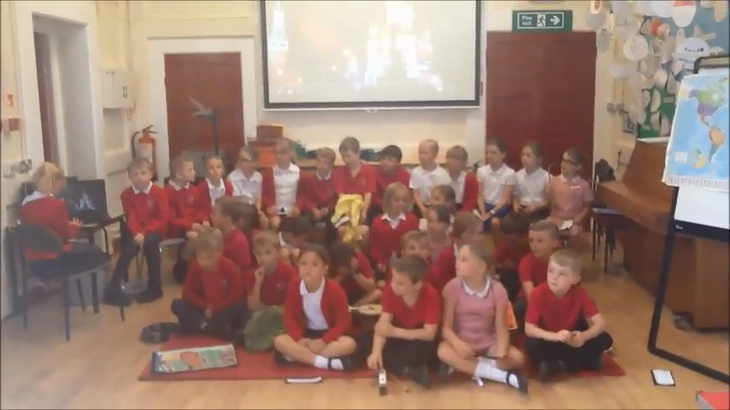 The children were brilliant at performing their assembly in front of the whole school . Hope you enjoy it too despite the small technological hitch at the start!